Marathon preparing to restart Galveston Bay FCCU, report says. Marathon Petroleum Corp is preparing to restart the 60,000 barrel per day (bpd) gasoline-producing Fluidic Catalytic Cracking Unit 1 at its 451,000 bpd Galveston Bay Refinery in Texas City, Texas, Reuters reported, citing two sources familiar with plant operations. 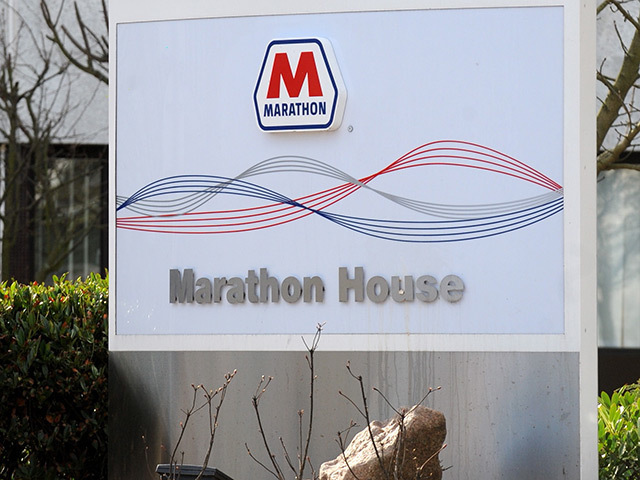 Marathon could begin restarting the unit, which has been shut since Jan. 13, as early as Friday, the sources said. If there are no problems with the restart, the FCCU is expected to be back in production by June 26. A Marathon spokeswoman declined to discuss the Galveston Bay Refinery’s plans. The unit’s restart has been anticipated since eight weeks of repairs were completed in March. FCCU 1 is smaller of two such units at the refinery. The 120,000 bpd FCCU 3 has been running above capacity in recent weeks to make up for the smaller unit’s outage. FCCU 1 is scheduled to be permanently closed in early June 2016 in accordance with an agreement reached with U.S. Environmental Protection Agency to reduce pollution from the refinery. Prior to FCCU 1’s closure, FCCU 3 and the 55,000 bpd FCCU at Marathon’s neighboring 84,000 bpd Texas City Refinery are scheduled to be shut for overhaul in early January.